That’s the look of someone who only has one more chemo treatment left. WOO! This week we had to reduce my dose. I had been having some numbness in my toes over the weekend, and because no one wants nephropathy to set in, my doc decided it wasn’t worth the risk blasting me with a full dose and possibly losing all feeling in my toes for the rest of my life. So that was the only change to anything this week. If my toes are still having numbness next week, we may decide not to do the final dose. But if they are feeling better we will probably do the final does as a reduced one and be done! I did meet with my radiologist this week too. Got the low down on all the possible fun side effects of that. I also got my “simulation” appointment set for the first week of November to get me all set up for when treatment starts on November 20. Then I will be getting radiation 5 days a week for 6 weeks. Thirty treatments in all. That puts me finishing during winter break around the first of the year. After that I have a meeting at the oncologist again to talk about the future and check ups. I’ll also probably be put on Tamoxifen, and estrogen blocker, at that time. Since my breast cancer was positive for estrogen, that is what fed it, so blocking estrogen would be the next thing in making sure it doesn’t come back. There are a WHOLE bunch of stuff that happen with that, but I am not thinking about that now. 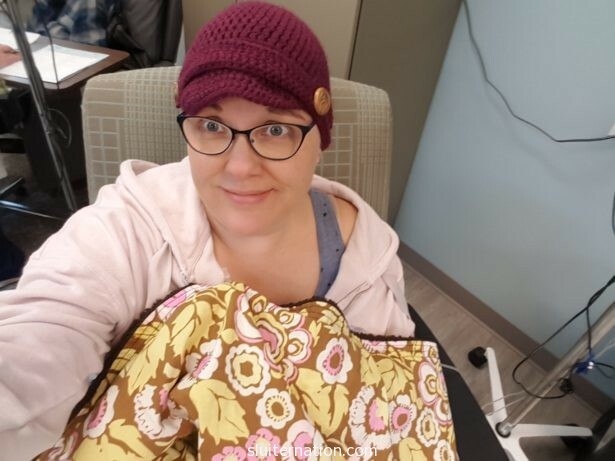 Right now I am concentrating on being excited about being done with chemo next week, taking a break before radiation, and then facing radiation for 6 weeks. If you are into prayer requests this is what I have for you: Please pray that the numbness in my toes goes away and I don’t get permanent nephropathy. Please also pray for Charlie. I don’t want to go into details because he may not want his business spread all over the internet, but he is struggling with some things and could use some prayers. And of course pray for Cortney’s continued strength as my rock, Eddie’s patience with his younger brother (and sister), and Alice’s continued positive attitude in all of this. Thank you for being my community in all this.